Grew Up… blind. Raised in Albany, Georgia, Ray lost his eyesight at the age of seven. But he's never seen himself as a victim – he promised his mother that he’d always stand on his own two feet. Living… with addiction in the face of discrimination. Despite these enormous obstacles, Ray is determined to revolutionize the record industry. As he says, “I’m trying to do something ain’t nobody ever done in music and business." Profession… musician and songwriter. 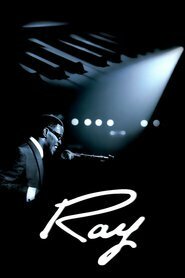 Known as “the innovator of soul,” Ray was born with a great gift, and his musical talents have helped him overcome countless hardships. Relationship Status… married to Della Bea Robinson. But Ray's always had a weakness for beautiful women, and with so many women attracted to musicians, he has a hard time staying faithful. Challenge… overcoming his addictions. Ray has been positive about his handicap: “My ears gotta be my eyes, man." Addiction, however, proves to be even more debilitating than blindness, and Ray has a tougher time beating it. Personality… vivacious, kind, and creative. Ray is known for his upbeat attitude, but that doesn’t mean that he’s free of demons. However, instead of being outwardly gloomy, Ray chooses to channel all his inner torment into his music. Ray Charles's popularity ranking on CharacTour is #3816 out of 5,000+ characters. See our top-ranked characters and read their profiles.